Rail passengers will see the price of regulated rail fares in much of the UK rise by as much as 3.2% in January. The rise, determined by the RPI inflation measure, could add more than £100 to annual season ticket prices. Transport Secretary Chris Grayling has called for future rail fare and wage increases to be based on the lower Consumer Prices Index - rather than the higher Retail Prices Index. The RMT union accused him of trying to impose a "pay cap" on its members. The cost of most train fares are set by train companies themselves but 40% of fares in England, Scotland and Wales are regulated so that they are only allowed to rise by an amount pegged to the RPI rate of inflation in July the previous year - currently 3.2%. These regulated fares include annual season tickets. The government's preferred measure of inflation, the Consumer Prices Index (CPI), rose to 2.5% in July from 2.4% in June. 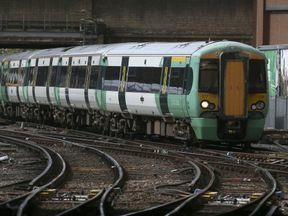 Labour leader Jeremy Corbyn described the increase in regulated fares as "an insult to everyone who has suffered from the chaos on Britain's railways".